Benjamin Franklin Norris, Jr. was an American novelist, during the Progressive Era, writing predominantly in the naturalist genre. His notable works include McTeague (1899), The Octopus: A California Story (1901), and The Pit (1903). Frank Norris's work often includes depictions of suffering caused by corrupt and greedy turn-of-the-century corporate monopolies. 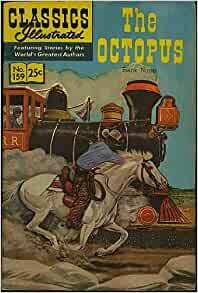 In The Octopus: A California Story, the Pacific and Southwest Railroad is implicated in the suffering and deaths of a number of ranchers in Southern California.